generation waterfowl hunters. We are very dedicated to our customers and do our best to ensure you have a good, safe and memorable hunting experience that you will remember for a life time. 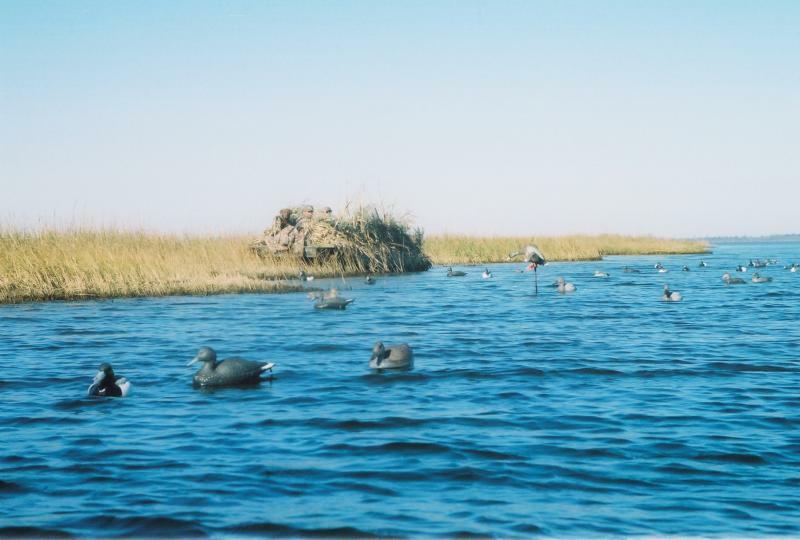 We do a great deal of scouting and go to the ducks, not just hunt a blind because it is there. We have marsh blinds and float blinds. 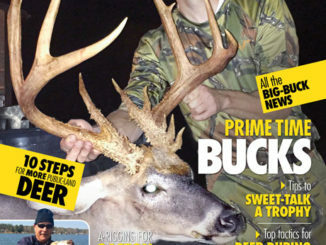 It gives us many options to improve the odds of having a productive hunt. Our guides stay with you the entire hunt. We bring retreivers but if you wish to bring yours you are welcome to do so. The boats we hunt from are large center consol boats to handle the large open water of the Pamlico Sound. 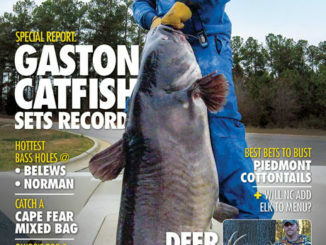 We provide our customers with some of the best hunting & fishing opportunities in eastern North Carolina. 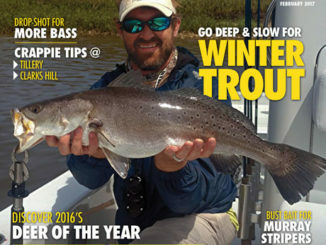 Hunting the western Pamlico Sound, the Albermarle Sound and its tributaries. 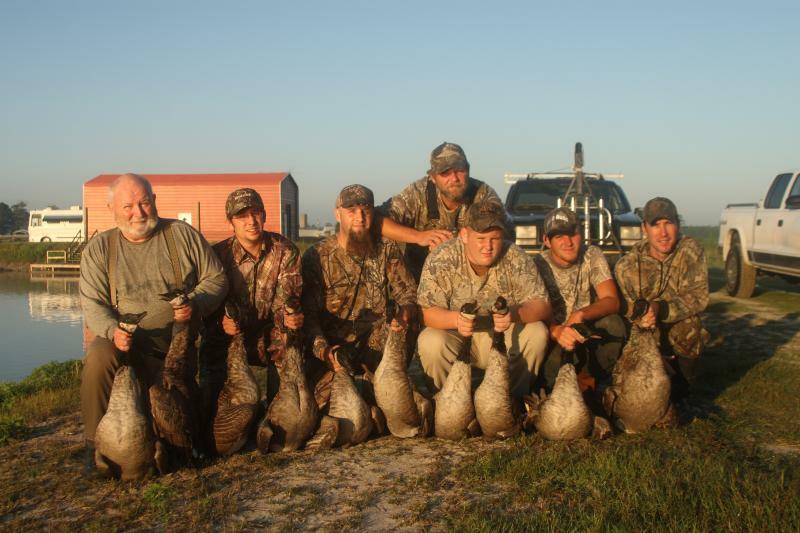 We also have outstanding Snow & Canada Goose hunts. We guaranteed our swan hunts. For us it's not about the money but the love of the sport! 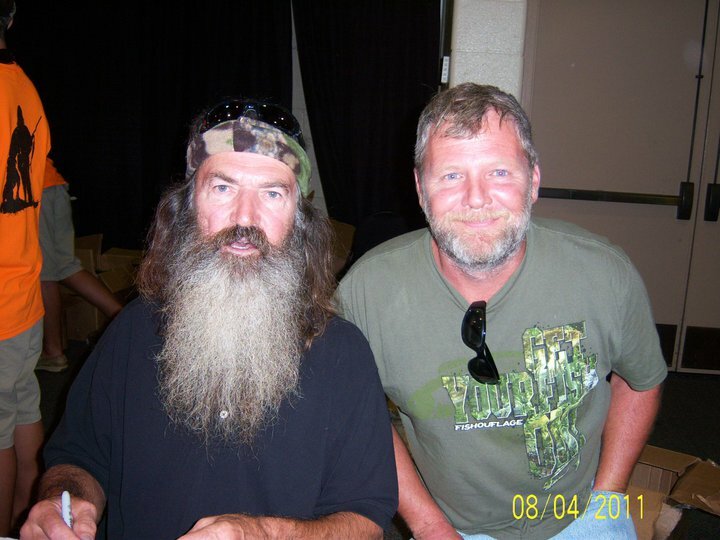 Phil Robinson, Duck Commander posed for a picture with Capt Froggy at the Greenville Convention Center 08/04/2011. 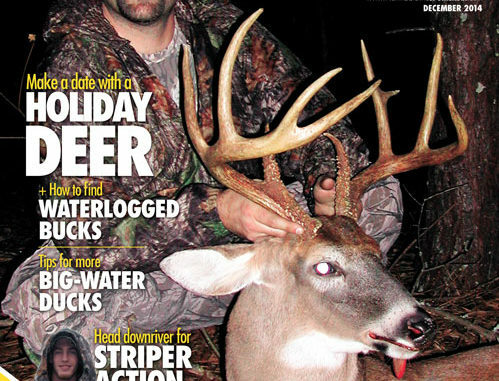 Copyright 2012 Capt Froggy's Hunting & Fishing Guide Service. All rights reserved.